I went pretty literal, mimicking the shape of the dipped-cookies. I still had this new Hero Arts stamp out on my desk from the other day when I used it to make this card. I don't buy stamps like this very often because I think that being so detailed, it can be difficult to use them in different ways. So part of me was determined to use the stamp differently and I think it came together very well. I used Soft Suede as my brown and I just love how the Real Red pops on it! The holly is an old PTI die. I hope you'll join us! The deadline is Wednesday March 12. Stunning! I love the scene...this is gorgeous Ardyth! 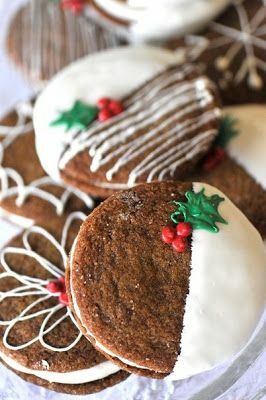 this is so pretty....love the delish inspiration! Awesome color combo, never used that for the holidays but I LOVE it! Love your card and how the dipped cookie inspired it! Absolutely stunning! 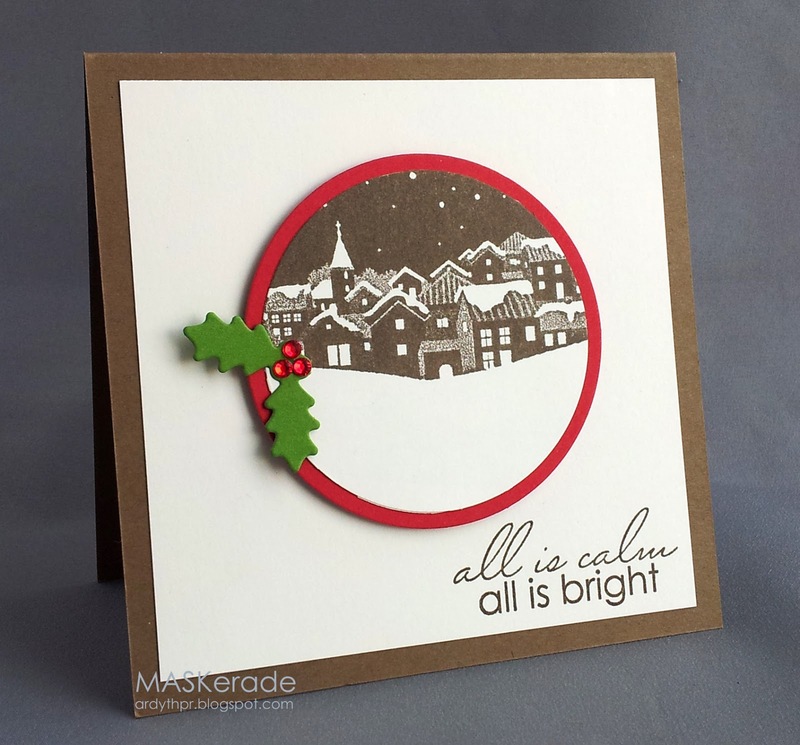 You're the only crafter I know that can turn a cookie into a gorgeous Christmas card! This really is a remarkable color combo. what a perfect design for the inspiration photo! Love this design, and I like how you showed a new use for that stamp. Stunning card! This has such a peaceful feel, must be the balanced design! I love that you wondered what I might do with this one, because yours blew me AWAY. This is just SO creative! This picture threw me for a minute, I'll admit to that!